Anyone who longs for the days of simpler, longer-lasting gadgets will love these lo-fi wooden versions of modern tech, including a pixel display made of blocks, laser-cut wood records, an orb-shaped computer mouse and even an all-wood version of a classic arcade game system. 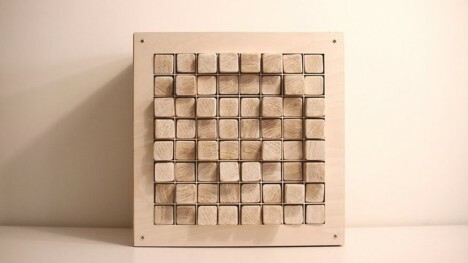 Wooden blocks measuring 1.5 inches across stand in for digital pixels in this analog version of a display screen created by Han Lee. 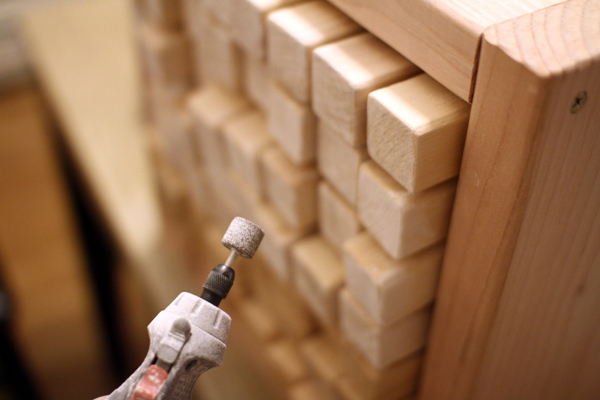 The 64 blocks were laser-cut and connected to an Arduino Uno, which controls the imagery. 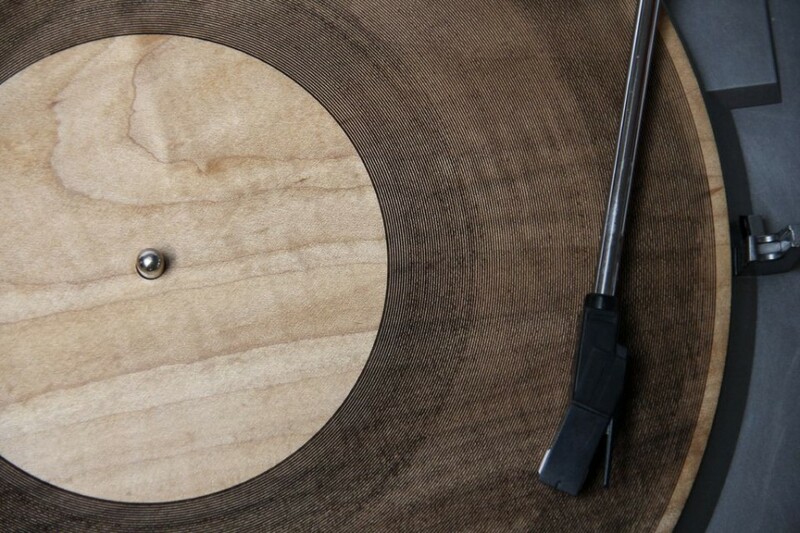 Designer Amanda Ghassaei programmed a laser cutter to turn round slices of wood into playable records. 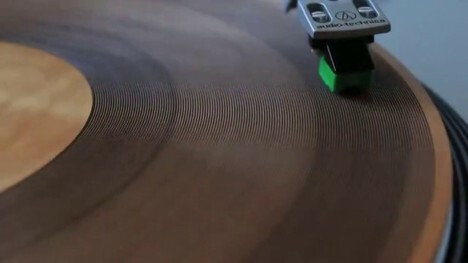 Audio data is ripped from a WAV file and then turned into a PDF of a vector graphic containing all of the little bumps and grooves needed to reproduce the music on a record player. Inspired by the way biological organisms organize their internal and external components, the ‘White Fruit Radio’ makes use of sycamore’s acoustic properties. 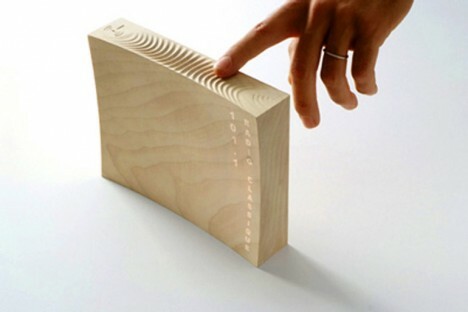 There are no buttons or knobs on the outside – instead, it’s controlled by rubbing your finger across the ripples on the side. 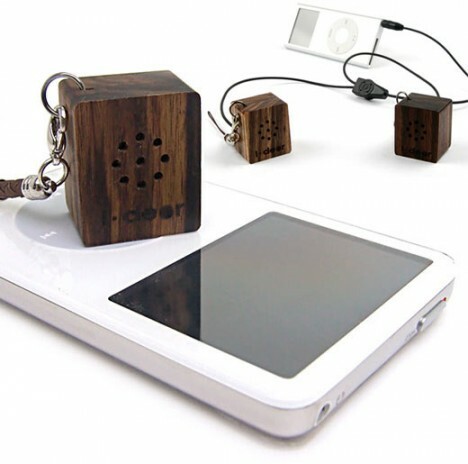 Measuring less than a cubic inch each, these cute little ‘i-Dear’ speakers can hang from your keychain until you need to plug them in to your iPhone or other portable media player. Powered by built-in rechargeable batteries, they’ll play for about five hours before they need to be plugged into a USB power source again.